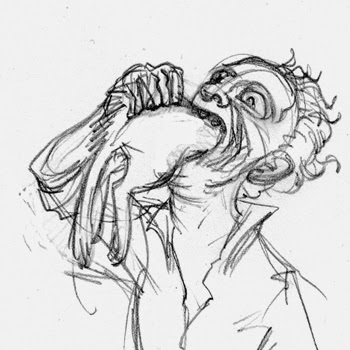 To satisfy his unnatural hunger, 17th c. French showman and soldier Tarrare would eat anything – and I mean anything. In addition to vast amounts of meat, he had been known to down corks, stones, live animals (cats, snakes, lizards, puppies, and even a whole eel without chewing), a basketful of apples at a time, and a meal intended for 15 people in a single sitting. Nothing was enough and he scavenged in gutters, through refuse piles, and outside butcher shops. Doctors tried to help him, but he attempted to drink the blood of other patients and to eat the corpses in the hospital morgue. When Tarrare fell under suspicion of eating a toddler, they kicked him out and a few years later he died and was autopsied (READ MORE HERE).